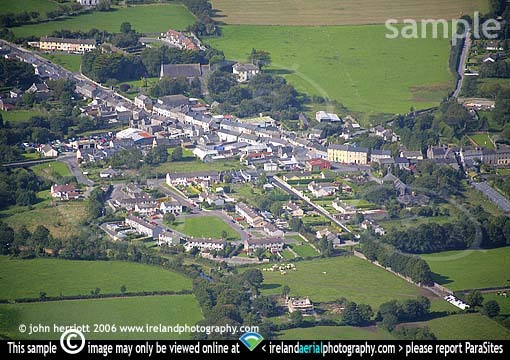 Aerial photography; Clogheen County Tipperary at the foot of the Knockmealdown mountains. Clogheen, situated at the foot of the Knockmealdown Mountains on the northern side is the first town you meet when travelling from Lismore or Cappoquin and over the mountains along 'the Vee'. stop to appreciate the magnificient uninterrupted views over all of County Tipperary.